Due to popular demand, Evoluent has now produced the Smaller Profile Vertical Mouse in a Wireless version. The NEW VM4SW has a beautiful Rust finish on the buttons. Like the wired model this new version is about 10% smaller than the standard Evoluent mouse. Since it is basically geared towards a woman's hand that is smaller. 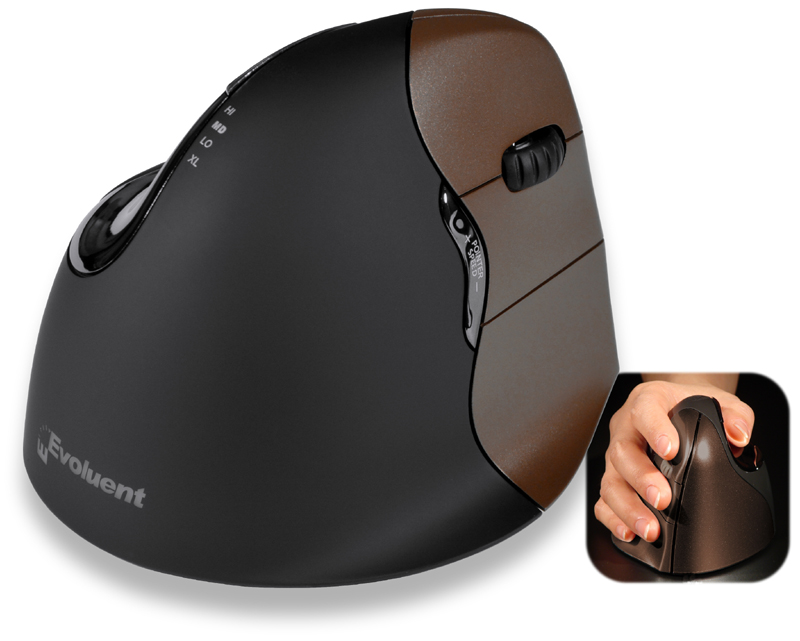 The Evoluent Wireless Right Hand Vertical Mouse include a more contoured shape to better fit users' hands, the option to change cursor speed without changing your grip on the mouse, and a sleep mode to conserve notebook battery power.